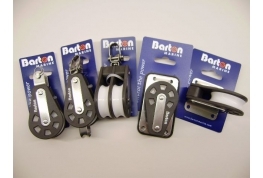 Barton Marine manufacture one of the most comprehensive range of marine grade pulley blocks in the UK. They are compact, high strength products, that are manufactured from modern materials and are suitable for a variety of uses in industrial and marine environments. 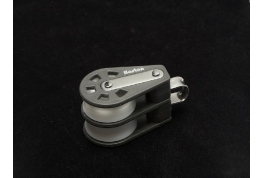 Designed to be lightweight with high strength and outstanding performance, these Barton Marine pulley blocks provide maximum efficiency and a long working life. 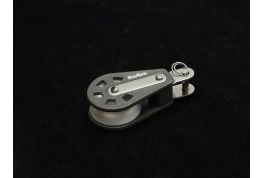 6mm swivel pulley to accept a 6mm diameter rope. Swivel eye with a sheave diameter of 30mm. Break Load: 700kgs / Safe Working Load: 350kgs. 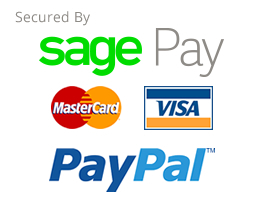 Manufactured by Barton Marine Equipment Limited. 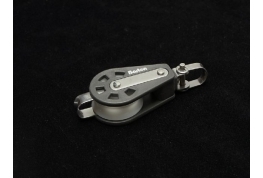 6mm double wheel pulley block manufactured in the UK by Barton Marine Equipment and designed to accept a rope diameter of 6mm. Break Load: 700kgs / Safe Working Load: 350kgs. 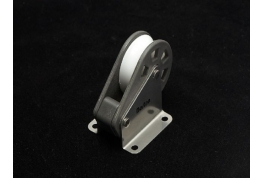 Single wheel pulley block to accept an 8mm diameter rope. Wheel diameter 35mm. SWL 370Kg. Break load 740Kg. 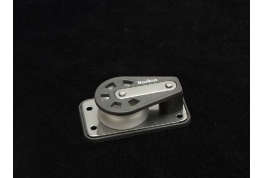 Double wheel pulley block to accept an 8mm diameter rope. Wheel diameter 35mm. SWL 370Kg. Break load 740Kg. Single wheel pulley block to accept a 10mm diameter rope. Wheel diameter 45mm. SWL 385Kg. Break load 770Kg. Pulley block to accept a 10mm diameter rope. Wheel diameter 45mm. SWL 385Kg. Break load 770Kg. Double wheel pulley block to accept a 10mm diameter rope. Wheel diameter 45mm. SWL 385Kg. Break load 770Kg. 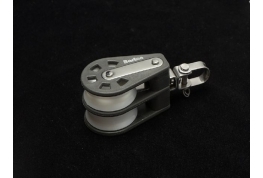 Single wheel pulley block to accept a 12mm diameter rope. Wheel diameter 58mm. SWL 630Kg. Break load 1260Kg. Double wheel pulley block to accept a 12mm diameter rope. Wheel diameter 58mm. SWL 630Kg. Break load 1260Kg.